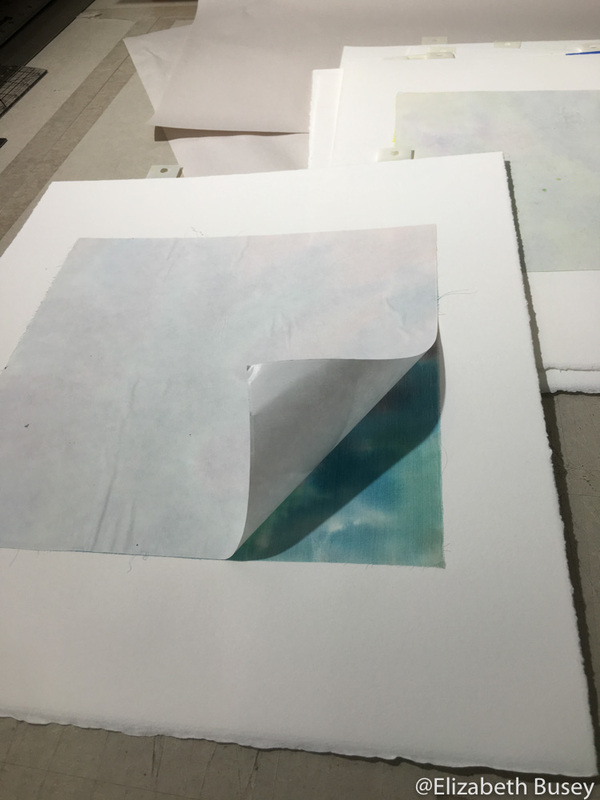 Water is not a friend of relief printmakers who usually print on dry paper. 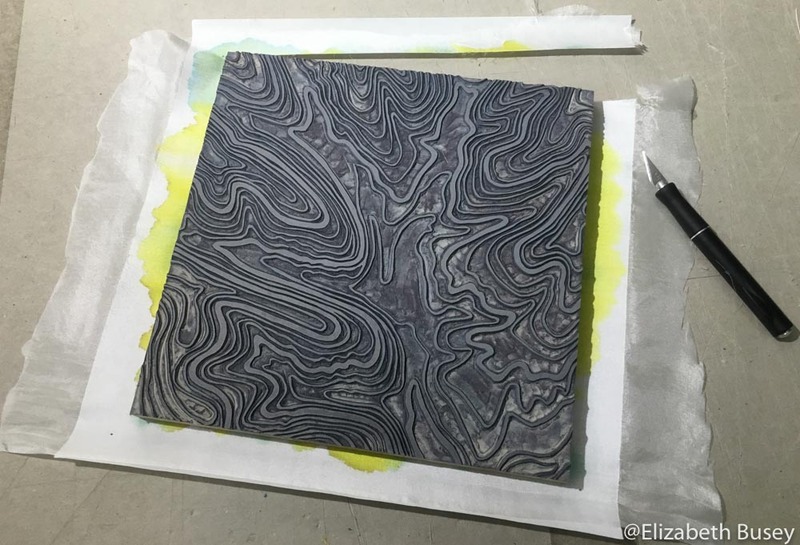 Water sinks into the fibers of printmaking paper and makes it buckle and ripple. After this, registration is a problem. So when I set about glueing silk fabric onto Rives BFK, finding a glue with a large enough open time and low enough water content was a challenge. 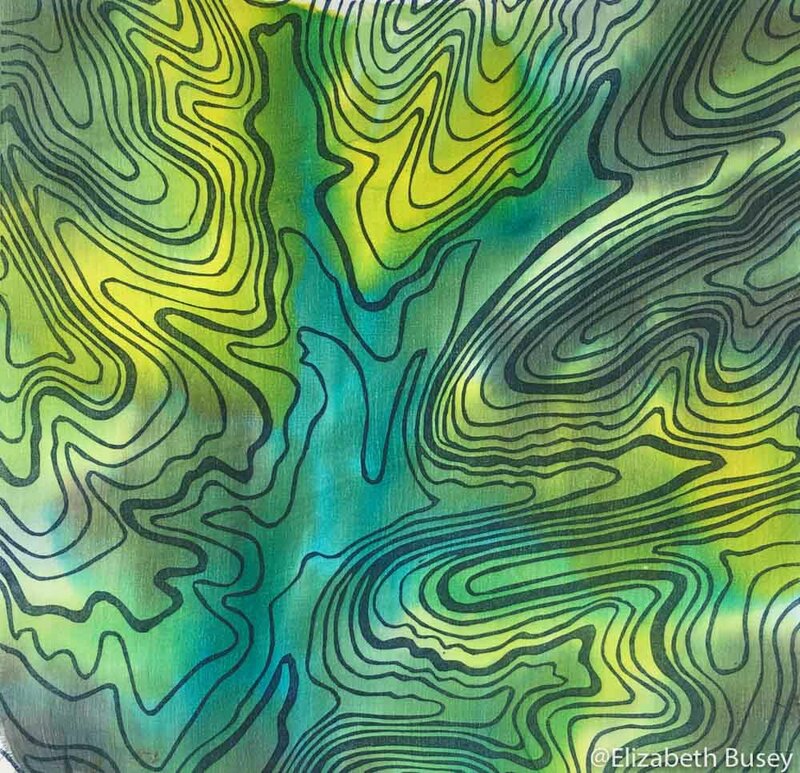 (See Why would you want to print on silk? 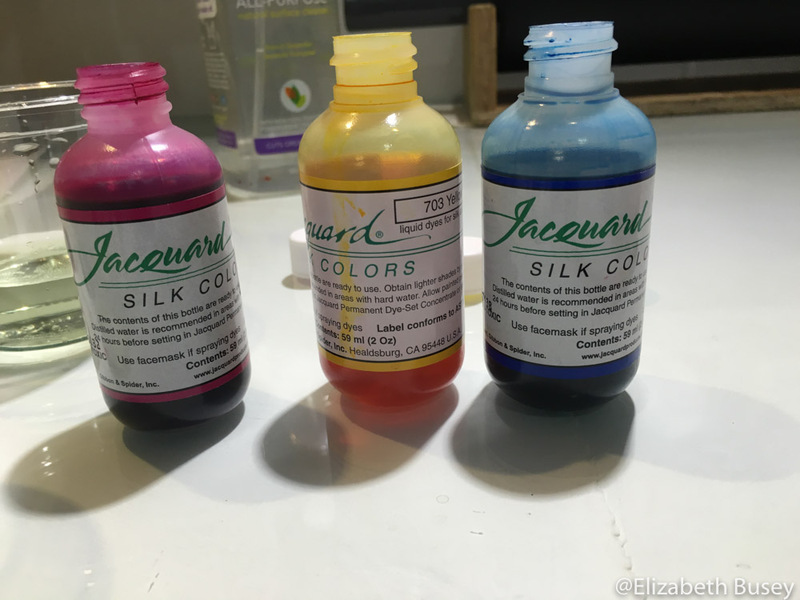 Part 1 to see how I stabilized and dyed the silk.) Before glueing, I had to cut the silk down to the size of the block so it would register. Using the block as a guide, a very sharp Exacto blade was a quick way to trim the dyed silk down to size. Even with a sharp Exacto knife, cutting away the silk was tricky. After trial and error with PVA (an archival white glue), rice paste, and methyl cellulose, I settled on a three-quarters PVA and one-quarter methyl cellulose mix. The PVA provides a strong bond, but dries almost instantly in the very thin layer that is needed for my purposes. Methyl cellulose, which creates a hair gel like substance when mixed with water, put enough water into the mix to allow for a very brief open time. Work quickly from the center outward, making sure to go over all the edges. 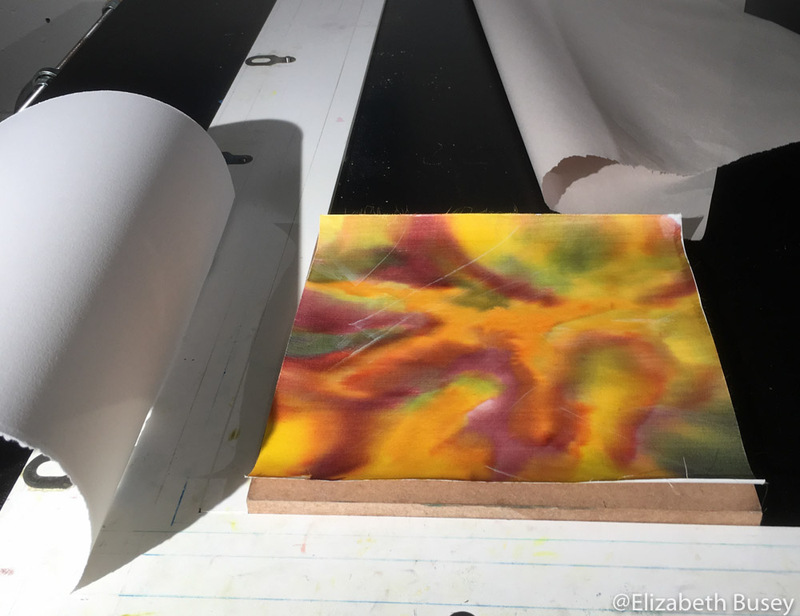 Thanks to several bookbinding videos on mounting silk onto paper, I learned to work fast with a rubber scraper, pulling the glue from the center across the silk and off onto the newsprint. 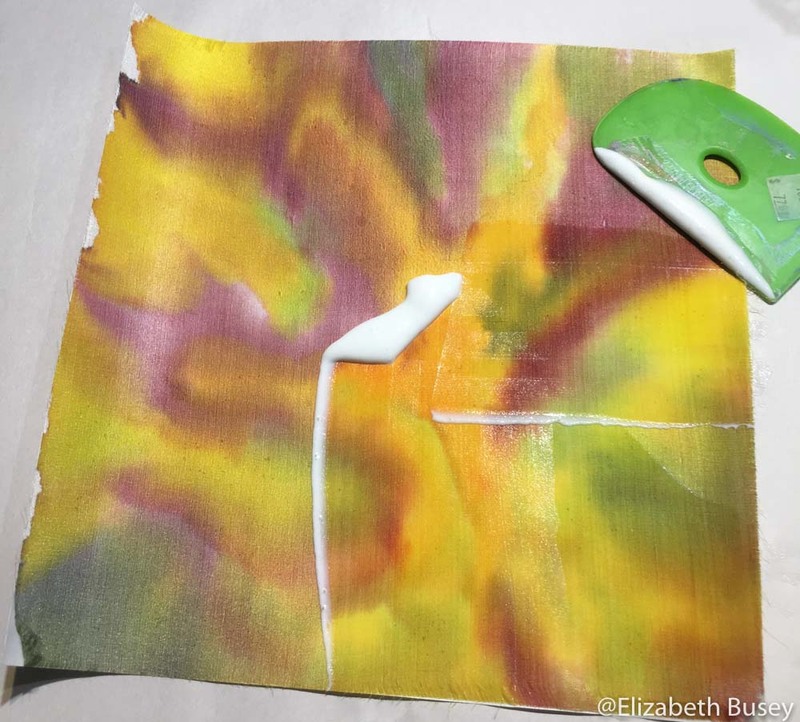 (You need to use new newsprint for each piece of silk.) 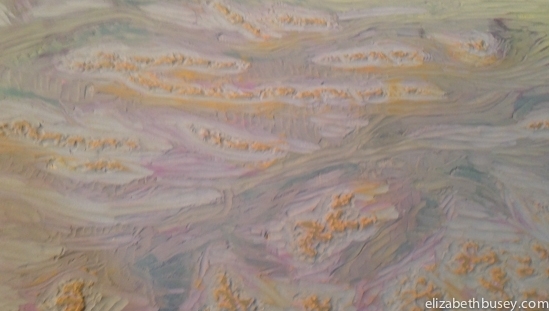 Any globs of glue will squeeze out when run through the press, so an thin even layer is critical. Quickly transfer the silk — glue-side up — onto the block that is registered in the jig. The silk is glued down to the Rives BFK, but needs some time and pressure to convince it to stay flat. 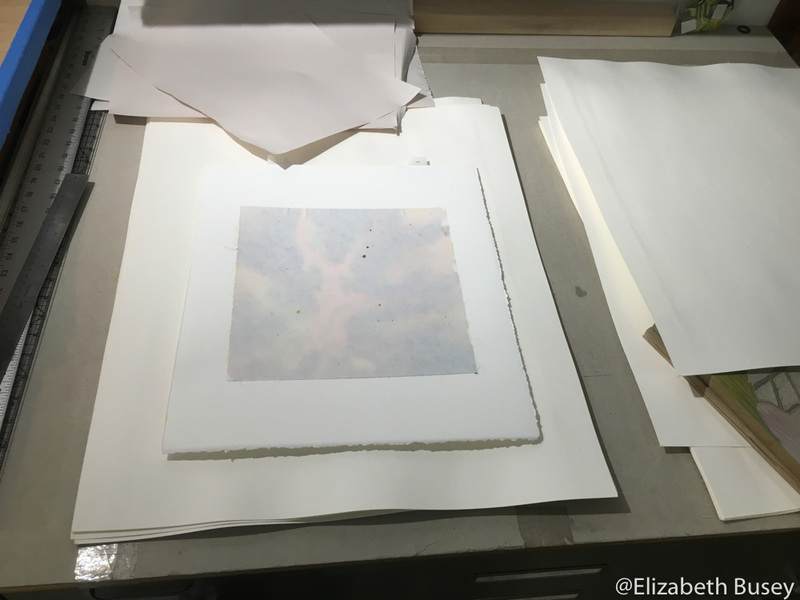 Here the silk is adhered to the paper (above), but remember we still have the freezer paper on one side of the silk. To make sure that the silk dries as flat as possible, I sandwiched the newly glued paper/silk combo with newsprint and blotter paper, and let this stand under old lino blocks over night. Carefully peel the freezer paper off the silk starting at one corner. 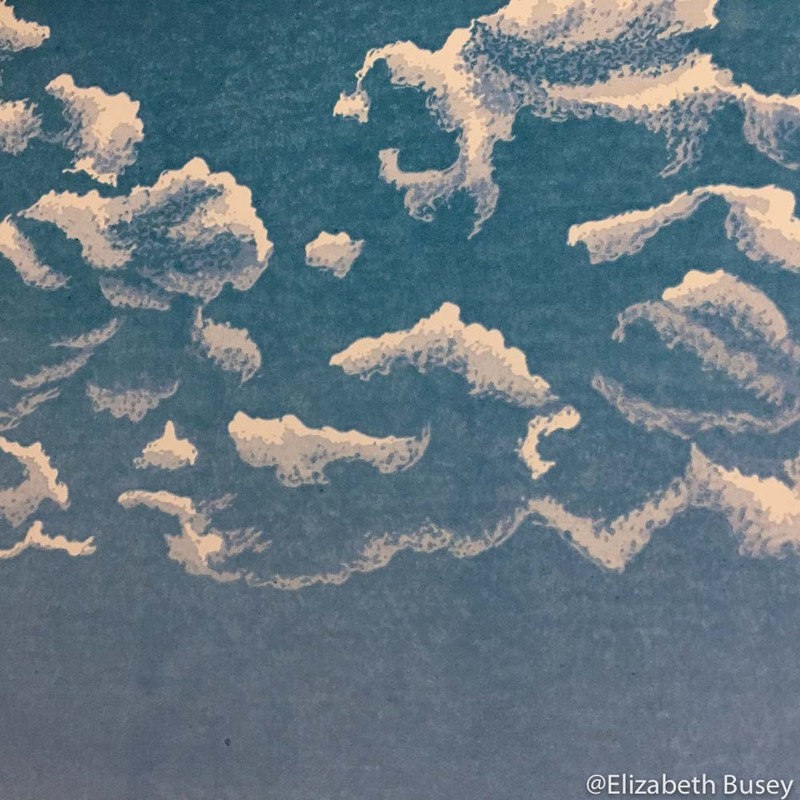 After everything is dry, you can carefully lift one corner and pull off the freezer paper. A corner or two may need a bit more glue… Now it is time to add the lino block. Here are several versions as I thought about seasons, and had a bit of fun with colors that you don’t typically see in the forest. The topo lines are taken from an actual place in the Deam Wilderness (near Bloomington, IN) poetically called Cope Hollow. 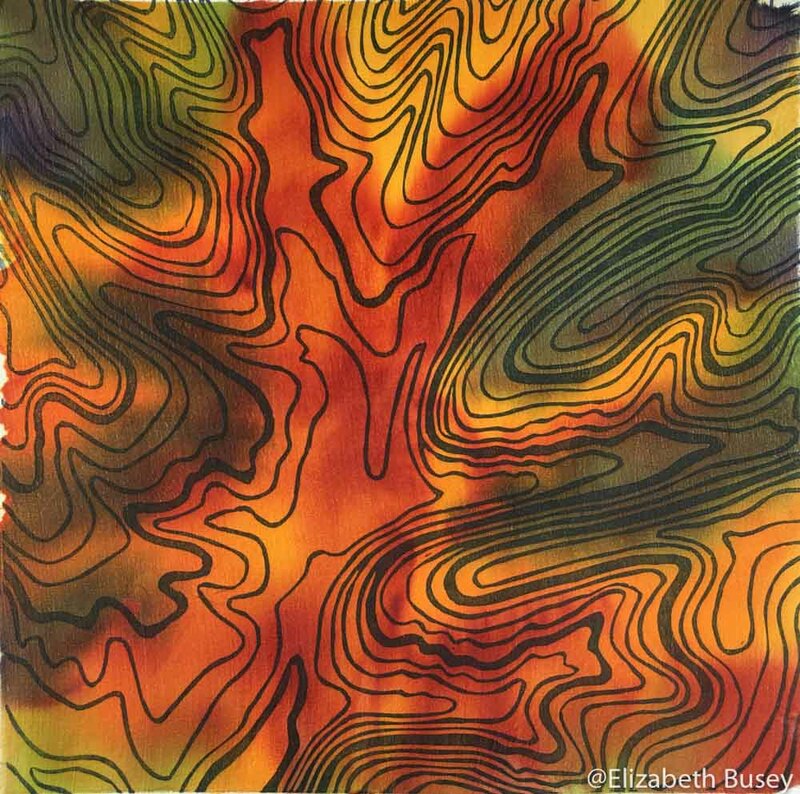 In my painting, I used a reversed image of the block as a crude guide to have the colors follow the topo lines. 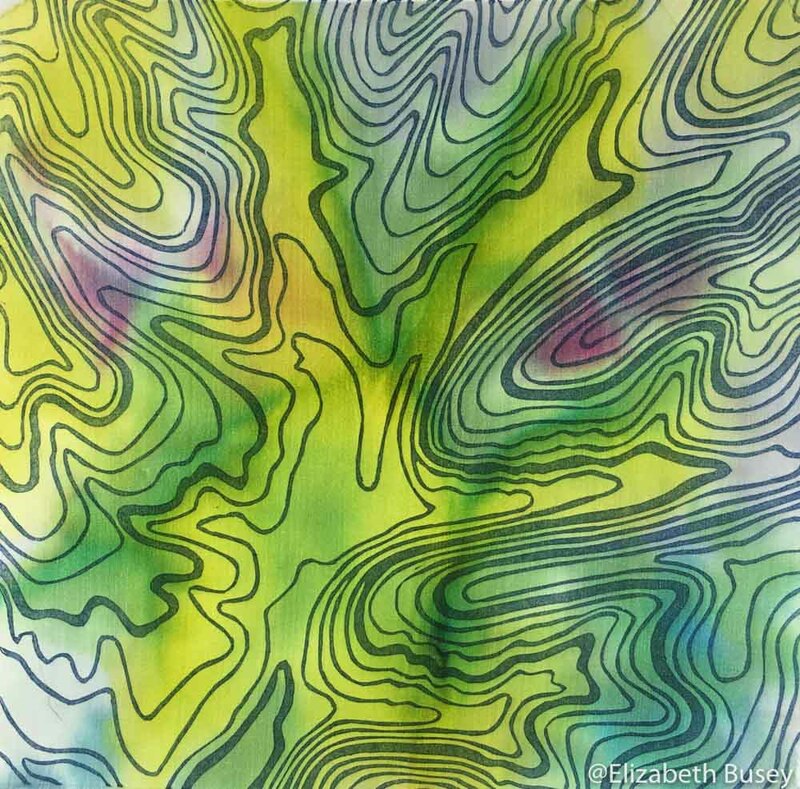 Lucky for me, the colors seem to move through the silk for a long time, and the merging effect is better that I could have imagined. An art-group friend asked why I was insisting on glueing down textiles instead of letting them float freely. I don’t have an answer to this yet, but perhaps some hanging silk will be in my future. 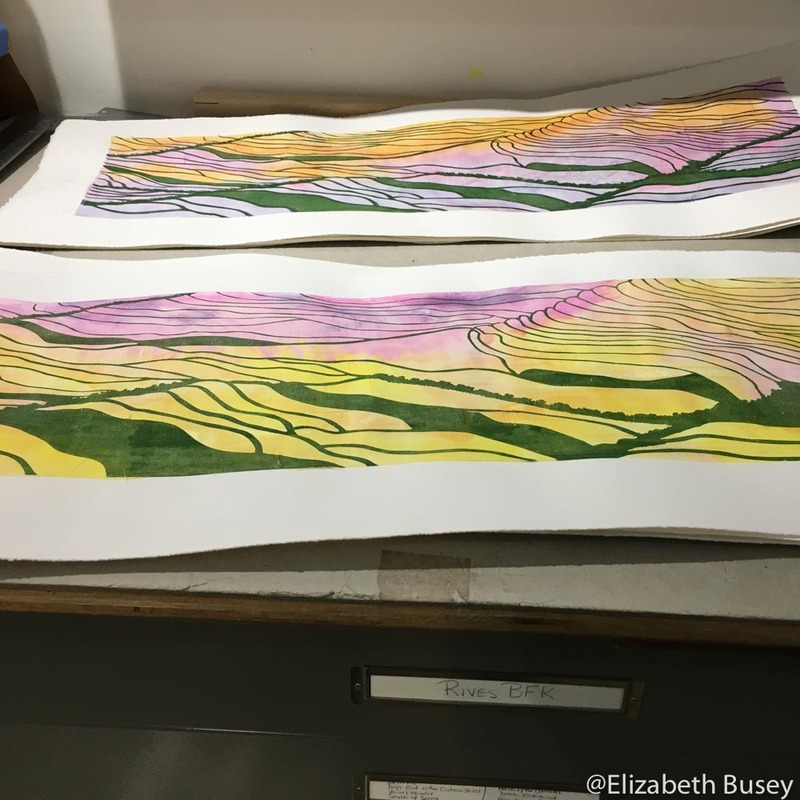 For now I’m enjoying the free-flowing intense colors that dyed silk brings to my linocuts. 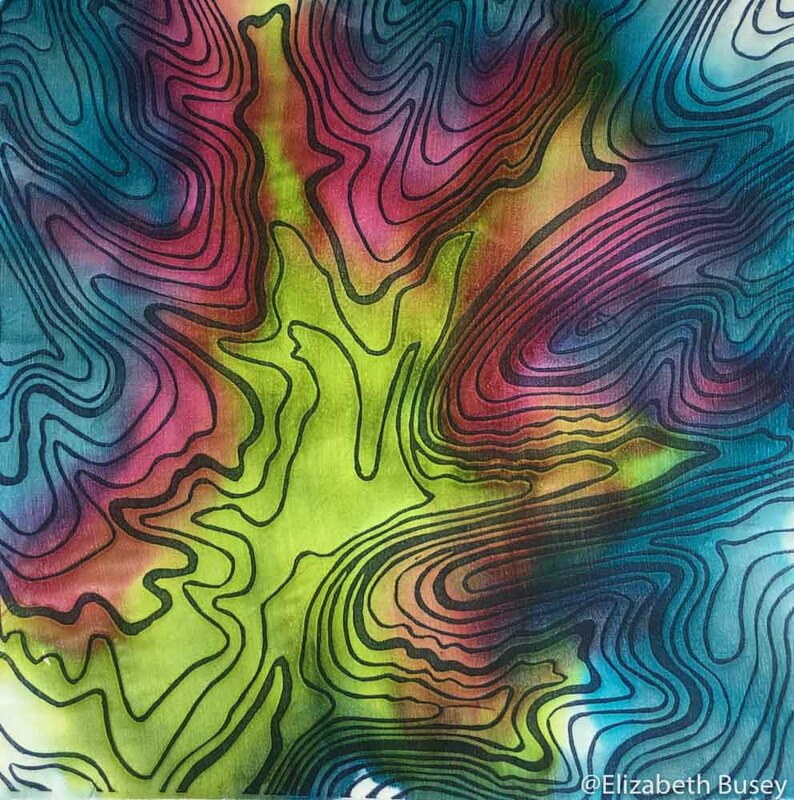 This entry was posted in Artistic Growth, Experimentation, Materials, Techniques, Uncategorized and tagged dyes, glue, Linocut, methyl cellulose, PVA, silk, topography on October 2, 2016 by Elizabeth Busey.